Wow, I must say that I've never put that much thought into running during my period. I just put in a tampon and go. If I'm running more than 2.5 hours, I bring a replacement. I've never avoided racing because of my period; I actually will be on my period during a 30-mile race I have in a few weeks. This post certainly made me consider another perspective! I would say the worst is just the overall feeling like crud! I try to work around it and on those days when all I want to do is stay in bed...I keep it short and slow! Yikes to Christina....30 miles during your period...no thanks! 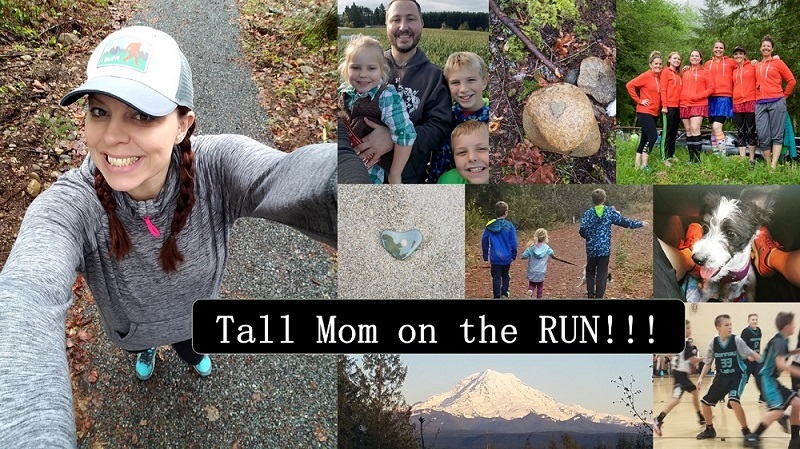 I ran my first marathon this month. Two months ago I "counted days" and discovered that "my monthly visitor" would arrive two days before my marathon. Not good. I went to my doctor and I ended up going on the pill for one month and we timed it so I got my "visitor" one week before. I have to say I think it's worse if you think about it. Push through the cramps and you'll feel better for it! I got my vistor the day before my first Marathon ever! Not fun adding to the stress, trying to figure that one out. Luckily I made it without bathroom break or accidents but I did worry. No fun at all! maybe this one was worse b/c it is the first time in so long? Hopefully things will be less uncomfortable next month. One more added badness of periods and exercise in a competitive way- most female athletes who tear their ACL do so during their monthly visit from Aunt Red. Here is the article title: “The Effect of the Menstrual Cycle on ACL Injuries in Women as Determined by Hormone Levels,” Dr Kurt Spindler. They found mid cycle greatest time at risk for ACL, but many also occur during menstrual cycle. One of my running buddies is a doc who won't run during her monthly cycle- she thinks it is not smart and uses the week off as a time to rejuvenate and rest. 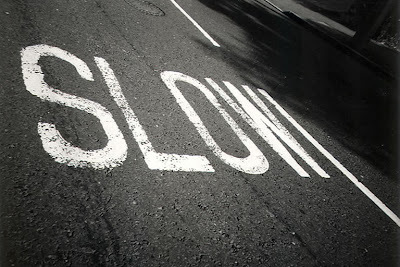 I tore my ACL back in high school and don't know if Aunt Red was visiting, but I totally agree that slowing down is the best treatment. I also love 600 mg Ibuprofen to treat those unfriendly cramps. 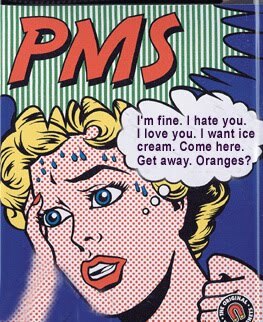 That PMS graphic was so funny. Great advice, except avoiding caffeine. I think I would rather have horrible cramps than skip my coffee. Like the commenter above, I tore my ACL in high school and I do believe I was on my period. Interesting. I find running thru it helps... but like you suggest, I modify goals - just run by feel. Having run for so many years I have repeatedly ran while I had my period. Never fun. Those you can simply use a tampon and not worry are lucky. Not everyone can do that. I am getting a DivaCup to see if that might be the answer (esp. for ultra length events) for me. Aside from protection from embarassment are the physical and mental issues that can reek haovic on race day! And FYI: Simply putting a tampon in the pocket of you pack or your sports bra is a receipe for disaster. You'll end up with a sweat soaked tampon. Not very helpful when you are in the middle of a forest and you've been running for four hours and still have over 2 to go...It wasn't pretty!